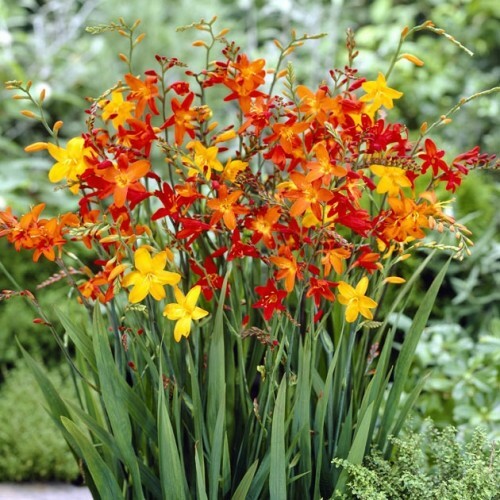 These flaming red, orange and yellow coloured flowers will heat things up in the summer garden. Crocosmia are better known as Montbretia and come from the grasslands of South Africa. They produce funnel-shaped, brightly coloured flowers amid grass like foliage. All crocosmia make excellent and long-lived cut flowers. Their late summer blooming brings a welcome splash of colour in the fading summer days. Very easy to grow and very little maintenance is required!